Detail shots are wildly popular on wedding blogs, and with good reason: to show the details that made the wedding special and unique. But I don’t know – haven’t you seen enough Jimmy Choo labels and Tiffany boxes already? Neither of those things are actually a unique wedding style element, especially without seeing the actual shoe, or piece of jewelry – yet they’ve somehow made their way into thousands of wedding blog posts out there – they may be fun luxury brands, but there’s no true individual style that can be shown in a photo of a mass-manufactured label or box. 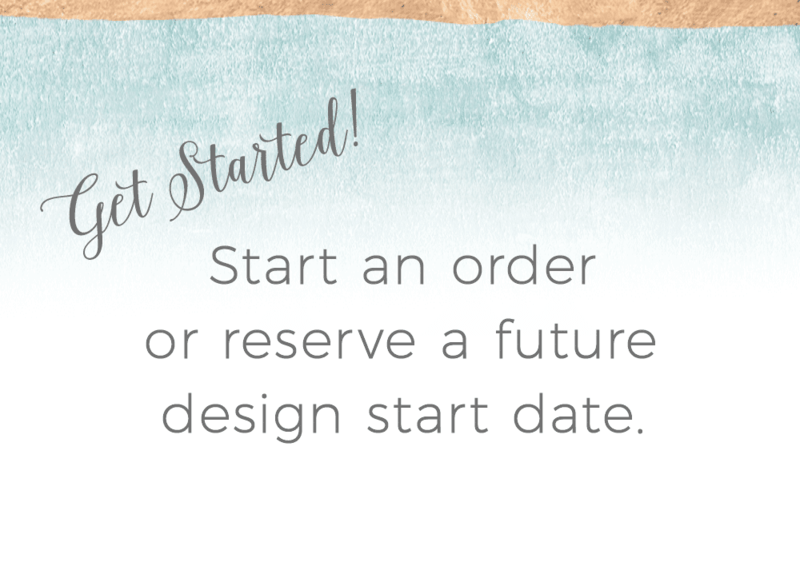 Don’t forget about the details you searched out to create the mood of the day for your guests: programs, flowers, place card displays, place settings, centerpieces, specialty linens, the guest book table, table numbers, menu cards, shots of the room set up and awaiting guests … and especially don’t forget about your invitations! 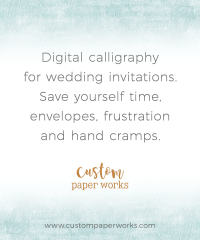 You can keep an actual copy of the invitation, and dry the flowers, but nothing can bring the whole memory back like an actual photo of items in use at your wedding. Plus, it will give you a way to enjoy the details you may not have had a chance to fully take in on your wedding day. You may have to specifically request them to be photographed. Not all photographers do it automatically. 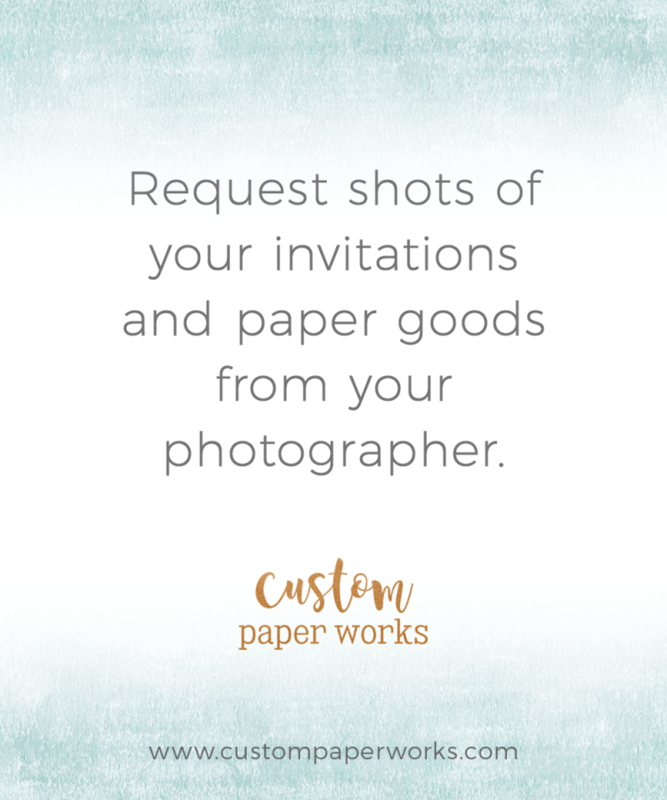 You’ll also want to make sure to give your photographer a fresh, unsent invitation ahead of time (mail in a protective sleeve if necessary). 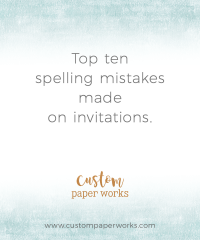 A client from a few years back recently contacted me hoping to get a few extra copies of her invitations and table numbers. A flood had ruined the copies she saved, and she wanted to replace them. At the same time, she specifically mentioned being thankful that she had detailed digital photographs of them in case she hadn’t been able to afford having new ones made.